I was led to +Mark Barnes‘ book The 5-Minute Teacher by +Peter DeWitt in post in which he talks about letting go of control and trusting students in the classroom. Barnes’ book outlines a way of teaching where instead of lessons being consumed by long, elongated lectures, they are led by brief, interactive instruction. Barnes states in the blurb that it is all about maximising learning in the classroom. This is a a bit of a misnomer though, in my view, because although shortening the length of instruction in very important to the book, the real premise behind it is a change in philosophy from a teacher-centred to a student-centred classroom, revolving around 100% engagement of each and every student. Some of the wider changes that Barnes grapples with include a focus on observation, rather than more structured assessment, the use of technology to engage, rather than more traditional methods of communication, providing students an avenue for self-discover, rather than simply handing information to them on a plate. This is all founded on the belief that teaching is an art, rather than a science. Reflection forms the important link between processing the new information and integrating it with the existing understanding of the world around. In many respect I feel this reflection fits within the wider discussion about inquiry in schools. Having worked in a school that had inquiry at its heart and then replaced it with a more ‘rigid’ curriculum planning, I always find it an interesting topic to come back to and explore. The whole focus of the ‘5-minute’ classroom is to involve every students in learning. Barnes puts forward the argument that in a traditional classroom, discussions are either controlled by the teacher or the more dominant and confident students. 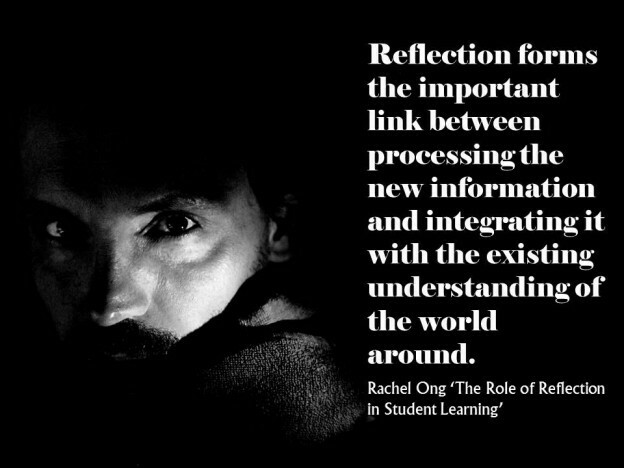 Through the use of collaboration, reflection and teacher guided, rather than directed, discussions, all students are brought into the learning. Rather than dictating what topic a task might be on or which group students are going to work in, the control is handed back to the students. For example, Barnes suggests that instead of giving students a project focussing on Greek civilisation, give them a project on civilisations and let them drive their learning. Associated with all this is proving students with the opportunity to reflect and learn from any failures that they may have along the way, such as choosing to work with the wrong group or not properly participating in collaborative tasks. Coupled with engagement and choice, the whole aim of the 5-minute classroom is to both empower students. This is done by placing their interests, passions and concerns at the heart of the classroom and making them responsible for their learning. This though, as Barnes outlines throughout, should not solely be thought of as an individual process, but instead as something that all students have responsibility for. Students are not only responsible for their own learning in the classroom, but also each others. Moving the heart of a lesson away from a clearly stipulated learning intention, to an open-ended question, means that sometimes what is learnt can be unclear to the teacher. The catch I think, that Barnes would suggest, is that just because you state your intention, doesn’t mean that students are necessarily going to follow. In having a question that drives the learning, the lesson is opened up to a wide range of responses. The key then isn’t necessarily the idea of ticking off a success criteria, rather it is about making regular observations, clearly supported with feedback to and from the student. The benefit of which is that students are able to do more and therefore demonstrate more than is usually allowed in a traditional classroom. The challenge for some teachers is maintaining this culture in the classroom week in, week out. I have heard this said again and again over the years by different teachers from different surrounds, that student led learning is not for all students. Some students don’t get engaged in their own learning and really need more rigid lessons that are directed by the teacher. I think that this is a bit of a misnomer though, because, like with learning intentions, by controlling the classroom, you are really limiting the opportunity for failure and error, and subsequently, the opportunity for learning. The problem with engaging students is actually making them aware that they actually have a voice and that it means something. At the very least, one of the benefits of books like Barnes’ is that even if you do not agree with everything that he says, through the process of reading, you are forced to reflect upon why you do not agree and what it is you believe in. I think that reflecting on how you teach and the various associated consequences is a priceless activity and is something that is too often overlooked. In the short question and answer section that follows the main text, Barnes addresses some of the frequently asked questions, with one of them being from a teacher of 25 years who states that teaching using the lecture style is difficult to replace. Barnes’ suggestion to this is to identify all the different strategies and persevere with them. Importantly, he argues that in asking the question that you are already on your way. I think that books like Barnes’ can be intimidating to some, but sometimes the best thing that we can do is to evolve as teachers one change at a time. For me, what called me to the book is my personal goal this year to provide more time for student learning. I am not sure that I will incorporate every element right away into my classroom. However, it has given me plenty of ideas about where to start. Barnes’ speaks a lot about using video and technology to engage students with a range of resources. My concern with this is that such practises do not always fit into copyright laws. Although many of us have the tools to digitally capture digital content and subsequently manipulate it, this does not mean that it is always legal. In today’s day and age of digital citizenship, it can be dangerous to model such practises, no matter how much they may aide instruction in the classroom. Being a philosophical change, I think that it can undermine both cohesion and unity amongst teams. Whether this is a group of science teachers or an actual team associated with a home group. Unless the directive comes from the top, then it can create both outliers, those teachers who so often work against the status quo, as well as confusion about what is and isn’t acceptable in the classroom. The danger though with this approach is that the needed change may never arrive, so you are therefore in catch-22, where your damned if you do and damned if you don’t. Associated with the question of team cohesion, there is a fear amongst some that the whole inquiry process does not work. As I have already stated early in regards to engagement, that although it may work really well for some students, there are others who fail to ever buy in and their results go lower and lower. With the ever growing culture of teacher accountability, having some students supposedly drop even further behind is not a risk that some teachers and administrators are willing to take. The problem is that such a mindset refuses to ever really develop in fear that they may fail. There is a danger that if the various changes are only partly adopted, it can create the wrong perception that the strategies don’t work. One of the biggest difficulties, in my view, in moving from a teacher driven classroom to a student led classroom is both stepping back and handing over control. So many set themselves up for failure by suggesting that they are student-centred, when it is really a facade, that deep down the teacher still has the power in the classroom. It is important to reflect upon such situations to try and identify why something didn’t work. This is often just as, if not more important, than the actual strategy itself and will often lead to its own solution. In closing, Barnes’ other book, Role Reversal, unpacks the notion of a student-centred classroom further and I may discuss that another day. In addition to that, two other really important resources that you might find useful are his Learn It in 5 website, which provides a dearth of videos to support the 5-minute classroom, as well as his blog, Brilliant or Insane, which is a constant source for ideas and reflection, in and out of the classroom. So what are your thoughts? Have you read The 5-Minute Teacher? Is there anything that you would add, remove or change with my analysis? Are there other such books and resources that you would also recommend in making the change to a student led classroom. Would love your thoughts and feedback in the comments or on Twitter. The 5-Minute Teacher, One Step at a Time by Aaron Davis is licensed under a Creative Commons Attribution-ShareAlike 4.0 International License.